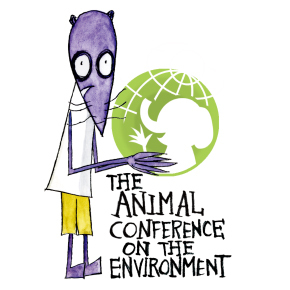 The Animal Conference on the Environment is a fun animated series through which children can learn about environmental issues and explore different cultures. Animals from all over the world, each with their own unique personality and backstory, get together and discuss the environment around them. 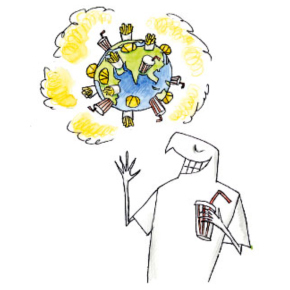 By sharing information, prejudices, and misconceptions, they come to understand each other and value the environment. We can’t leave this to humans! The Animal Conference on the Environment (ACE) project started in 1997 when the United Nations Framework Convention on Climate Change was held in Kyoto. 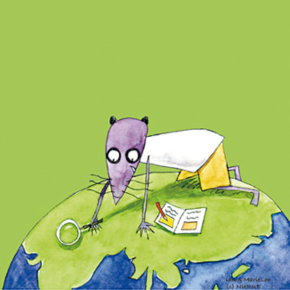 In its main story, animals who come from all over the world hold a conference on familiar environmental problems, which main goal is to provoke children’s interests and raise their awareness of environmental issues. 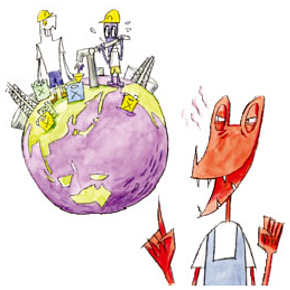 The theme deals with Forest, Garbage, Cars, Energy, Food, Water, Life, and the Earth. 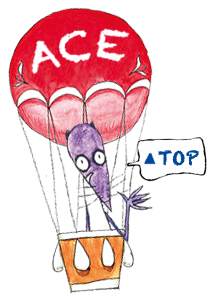 The animal characters of ACE are all very unique, each representing their respective national and cultural backgrounds. And, they are involved in heated discussions while sometimes revealing their ignorance, selfishness, and prejudice toward other cultures. We would like our children to be interested in things different from their own and experience the importance and joy of understanding others. Ultimately, we want each of them to become a person who think and act for the sake of the earth environment. Sharing such hopes, the animals are going to think and talk with the children. Created by MarieLoo and IAN of NURUE Inc.
*NURUE Inc. are the creators of The Animal Conference on the Environment, and hold the original rights to the project, the publication rights, and trademark rights. 1997 Inspired by the global warming meeting in Kyoto, "The Animal Conference on the Environment (ACE)" begins on the website Gaiapress of Horiba, Ltd.
2002 Publication and release of the picture book magazine "ACE" Vol.1 from NURUE Inc.
2004 Chosen “Selected Reading Material” by Japan School Library Association. 2005 Three Taiwan volumes are published by a small publication in Taiwan. *Invited by the organizer to and set up our own booth. 2011 Awarded Children Earth Vision Award at the 19th EARTH VISION - The Tokyo Global Environmental Film Festival.In-class experiments using the ACE-based materials started in public elementary schools in the Shinjuku and Toshima Wards of Tokyo. 2012 NHK Enterprises releases ACE DVD set. 1.Functions as edu-entertainment that can be used as an educational tool to raise environment awareness and cross-cultural communication skills. ACE contents are most suited for Education for Sustainable Development (ESD). 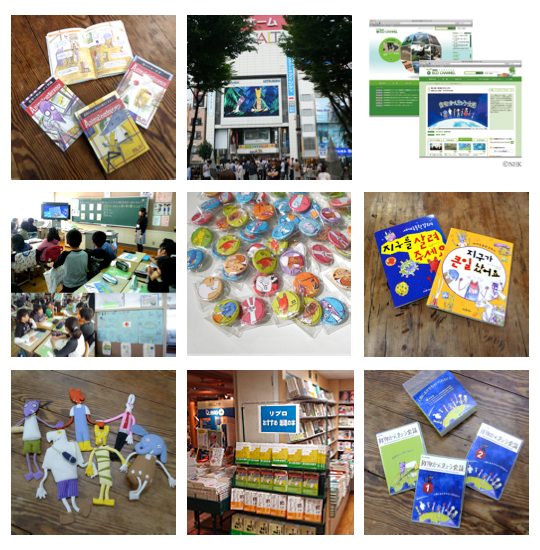 For example, elementary schools in South Korea adopted ACE materials into their curriculum, while Shinjuku and Toshima Wards in Tokyo have also started in-class experiments using ACE materials. 2.Taking advantage of today’s IT technologies, ACE-based in-class children’s discussions can be expanded into a real-time international exchange. This will allow children living in different parts of the world to discuss and present their points of view based on their respective cultural and environmental backgrounds. 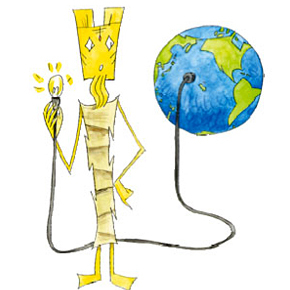 Through the project, children all over the world can actively engage in thinking about environmental issues. 1. Co-producing the second season of ACE with an international production company with an eye on new stories and local characters, utilizing the 3D format. 2. A feature film involving all of the ACE characters. 3. Tie-ups with real-life ACE events, where children from different parts of the world will gather and discuss the environmental issues central to their lives. (c) NURUE Inc. All rights reserved.